Howdy Kotaku! Ben and Peter have returned to run Kotaku for the 4th of July. It’s a day of fireworks and rest. It’s also a day to bust out food and drinks we’ve been saving for special occasions, unlike in gaming where we always find ourselves hoarding special items that we end up never using. We’ve gathered hundreds of ethers through the various Final Fantasy, but always insist on using a tent or inn to restore magic. For the Persona games, SP restoration is precious and items like coffee are always saved for the next boss, and then the next one. 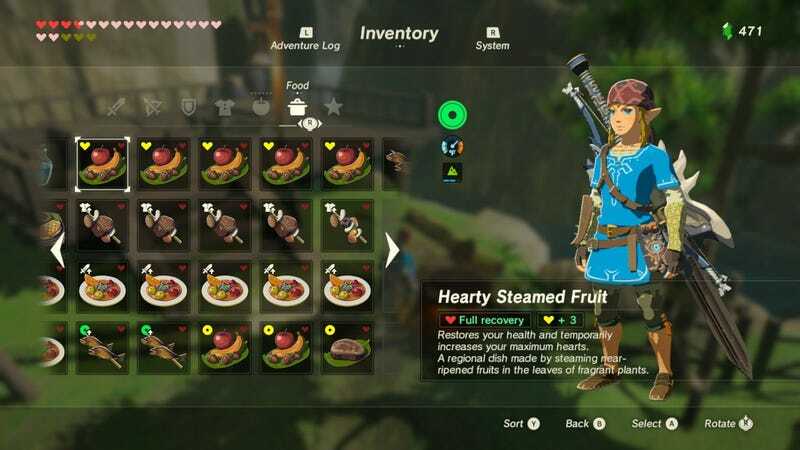 We’ve cooked so much food in The Legend of Zelda: Breath of the Wild that we’ve never eaten because of their special boosts and which, in real life, would have long ago gone rotten. In the Phantasy Star games, we still have yet to use the star mist, also known as star dew, which are very precious and can heal your entire party to full health. For Super Mario Brothers 3, we saved the Hammer Brothers suit until the bitter end and still didn’t put it on. Just by nature of how rare these items are, they preclude usage, when it should be the complete opposite. In some ways, the act of collection and knowing that we have that essential something in the backpocket is the source of their true value. “An ace in the sleeve” of sorts. In the meantime, Ben will be talking about some of the darker aspects of Splatoon 2, how Shadow of the Colossus helped him to see gaming in a different light, as well as a new look back at Pokémon Snap. Peter talked with Richard Garriott about the evolution of the Ultima series as well as getting into the creation of the horror adventure game by late science fiction author Harlan Ellison, I Have No Mouth, and I Must Scream. If you need to get in contact with one of us for any reason whatsoever, you can do so in the comments or via Twitter. If you have special items of your own which you’ve never used, well… maybe now is the time. All our Twitter handles and info can be found in our bios below.